Growing the web presence and brand awareness of a small or medium-sized business is no easy task. 2017 began with 3.77 billion people using the Internet, that is more than 50% of the world's population, representing the largest active public in history and at the same time more competition in the market than ever before. There are currently over 970 million websites in the world, which is why differentiating and responding to the needs of the public is key to the success and online positioning of your business. It is true that we are in the middle of the "digital age", and with this continuous increase of web traffic more business opportunities become available, however only the entrepreneurs and merchants that are active in the digital world will be prepared to benefit from these opportunities. Having online visibility means being where the conversations that matter to your business or clients are happening. The competition to be the brand with more reach or the best positioned online continuous growing, this is why as an entrepreneur it is vital to register your business in an online directory that allows you to approach your niche audience when they are actually looking for you. With the growing number of active users on the web it is more normal each day to loose security and some confidentiality in the information you share about your business. If you use third-party web platforms to carry out transactions with your customers, you may loose confidentiality in the information exchanged, causing other companies to gain an advantage over your business. Making efforts to avoid hacking and spamming is key in maintaining a good relationship with your customers. It is important to be where your audience prefers to invest their time. Social networks are the ideal forum for engaging the public and increasing traffic to your website. 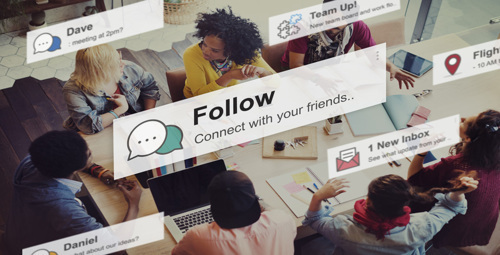 The possibilities offered by social networks to segment and highlight messages make them very useful resources for small and medium-sized businesses. If in some social networks ads are working better than others, it is recommended to continue investing budget in this platform and diversify the targets to enter new territories of the market. 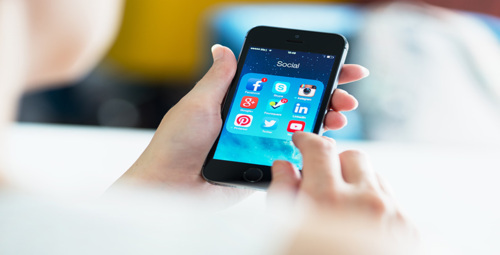 Remember that each social network has particular tools to communicate, and choosing the one that best fits your message must be an indispensable part of any marketing plan for a small or medium-sized business. Providing incentives or rewards encourages customer loyalty and promotes a second visit. Whether it's to increase your traffic on the web or in your business, rewards programs are a great opportunity for customers to create a positive impression on the brand, feel appreciated, and increase word of mouth. #InfoTip: Getting the audience to talk about your brand is the most effective way to keep growing. As a marketer it is important that you detect the strategies that best enhance the strengths of your business and implement them at the right time. Remember, timing and strategies will always be key factors in the online success of your small or medium-sized business.